Did you know that there are seven Athenian students on exchange right now in South Africa, Australia, Denmark, and India? Athenian students have the opportunity to go on exchange for two to three months during their senior year at any of the Round Square schools around the world. This year, students are chronicling their experiences while honing their digital media skills by contributing to a Round Square exchange blog. Haley Kardek is in India at the Lawrence School Sanawar. 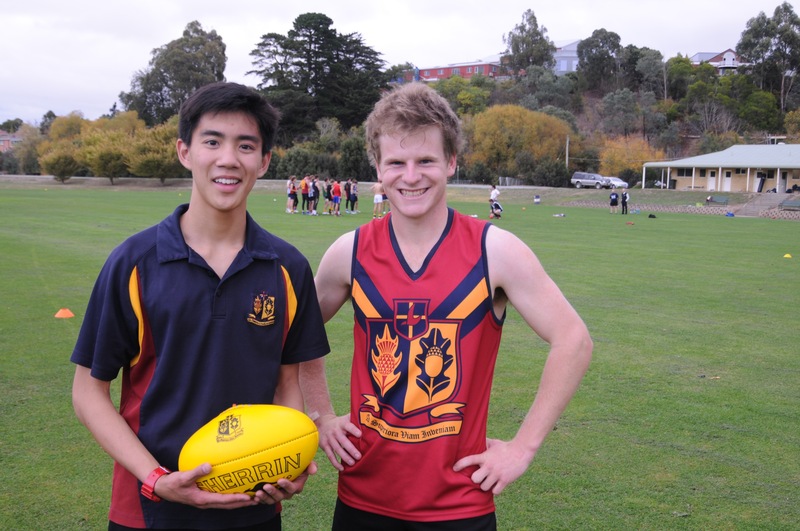 Pierson Tan is in Tasmania, Australia at the Scotch Oakburn School. “On Friday I had the opportunity to go to the Global Leaders Convention hosted by World Vision. When we got there, about 125 kids total were sitting in an auditorium watching an episode of Iron Chef. The ingredient was truffles. We did a massive simulation to experience the way trade affects the many people involved in growing, farming, distribution, and selling of goods. I learned how farmers who grow the actual food get paid less than .5% of the final selling price of the good and how poor they are forced to become. We watched numerous videos of first person perspectives of hunger in Ethiopia. The six kids from Scotch Oakburn that went to the Conference got a much better understanding of the very real problem of worldwide hunger. Helen Thompson is in South Africa at Stanford Lake School. Garrett Furlong is in Denmark at the Herlufsholm School. Learn more about Athenian’s exchange program here. For more on International Experiences at Athenian, go here. « Students Give Inspired (and Inspiring!) Speeches for Town Meeting Presidential Election	» Video: What Does Athenian Mean to You?